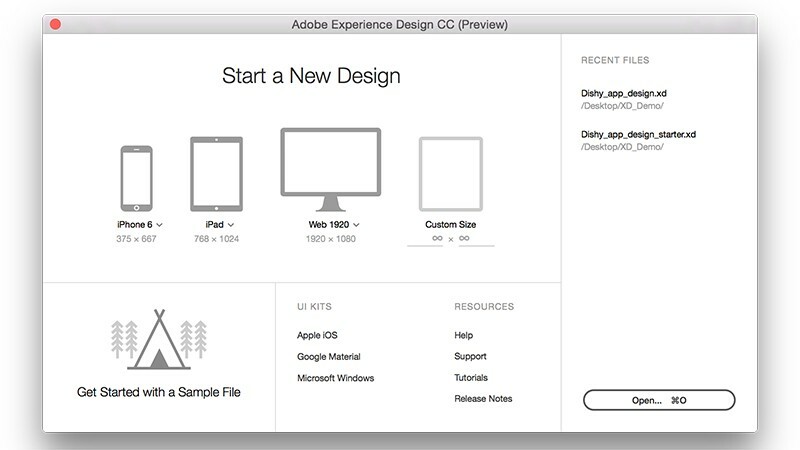 The preview version of Experience Design CC provides designers with an Adobe application focused on prototyping for all devices. 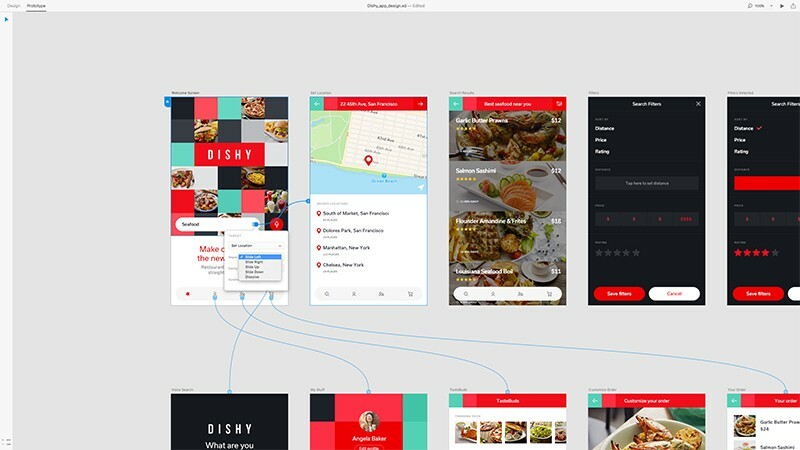 Adobe XD delivers an impactful user experience design tool for high velocity wire framing, visual design, interaction design, prototyping, previewing, and sharing. This preview application is rapidly growing, adding new features each month that further its effectiveness as a communication solution. The team is developing a new user interface framework called “Spectrum,” which is the first of its kind for an Adobe application. With this new framework comes new innovative ways of removing friction in the design process. 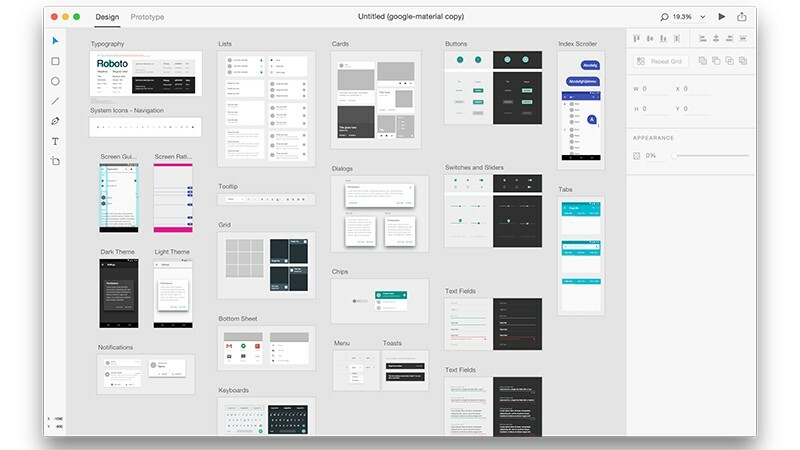 Adobe XD provides artboards for specified device sizes as well as the option to create artboards in custom sizes. In addition, the application also supplies iOS, Google Material Design, and Microsoft user interface kits, which include assets that can be brought into projects. Projects can be designed and changed in design mode, where Illustrator and Photoshop elements can be imported. In addition, SVG images also can be imported and edited directly within XD, adding further versatility. Adobe XD comes equipped with a basic toolset that allows users to work with artboards, colors, text, shapes, images, image masks, and more. The simplified pen tool allows users to draw simple shapes without going back into Illustrator or Photoshop. The new feature of measurements provides the ability to see the distances between items. A simple click of the Alt/Option key with any object selected will show the distances between that object and the artboard. Hovering over another object will provide the distance between the two objects. This way, designers can create pixel-perfect designs and communicate measurements effectively to developers. The powerful repeat grid feature causes the manual process of repeating elements to be efficient. With this key feature, when a user makes changes to a repeating element in a repeat grid, the application applies this style change to all elements while still keeping content unique, increasing speed. Additional new highlights include the object blur and background blur effects. With these new effects, designers can blur an object or blur everything that is in the background of the object. In prototype mode, designers can start to wire the prototypes, bringing the views to life with interactions and animations. Then, designers can see a live preview as well as share the interactive prototypes online through the Creative Cloud. 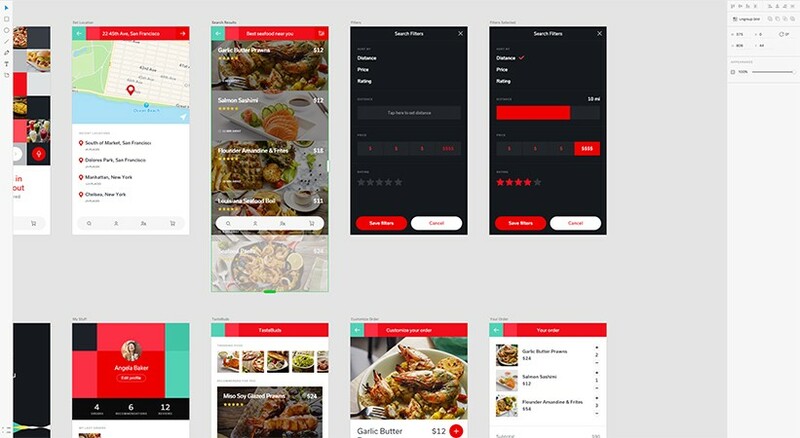 Furthermore, with the June update, the Adobe XD team added the ability to embed prototypes into a website. When sharing, users can select “embed” to receive an iframe HTML snippet. Clients and coworkers can preview shared prototypes online and can contribute feedback. When files are revised, the shared interactive prototypes can be updated easily. Additionally, designers can record a series of specific interactions and can share video files demonstrating these interactions. Free for anyone with an Adobe ID, the public preview release is now available in English, French, German, and Japanese on Mac OS X. The development team is working on expanding to Windows, iOS, and Android as well as adding more languages. For the upcoming July release, the team is working on a “go to previous artboard” feature that will provide the ability to reverse the animation. In addition, a new zoom tool and a PDF export both will be available. Also, the team is working on the much anticipated layers tool for a future release. Overall, the exciting release of the preview version of Adobe Experience Design CC reveals the tremendous potential of this new Creative Cloud tool to revolutionize user experience design. By Lauren Cullen, originally published on the Prototypr.io medium publication.